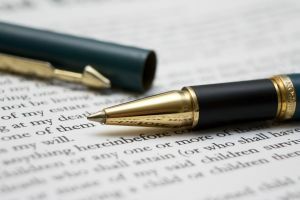 A pre-nuptial agreement in Castle Rock is one way newly married couples can protect themselves and the assets with which they entered the marriage in the unfortunate event of a divorce. These are contractually-binding agreements that are drawn up with the help of a Castle Rock family law attorney. They can also spell out how much alimony you or your former spouse will receive in the event of a split, as well as child support payments. These are the most common areas, but it’s not limited to that, due to the fact that these are private agreements. Some couples even opt for an infidelity clause, whereby one party might forfeit the rights to certain property in the event they have been unfaithful. However, you want to make sure that no matter what the agreement that you’re hiring a lawyer with experience in this realm, because if you aren’t careful, there are loopholes that might allow the agreement not to hold up in divorce court. Your spouse wasn’t truthful about his or her assets: This can be somewhat tricky, but it all depends on the amount as well as the intent. Sometimes even outright fraud isn’t enough to void the contract. Let’s say your spouse is worth $100 million, but fails to report $3 million in assets. The court is probably not going to get very worked up about that. However, if your spouse was worth $500,000 and didn’t claim those $3 million in assets, that’s going to be seen as a major problem. You were coerced. This is extremely tough to prove: Even if a bride is told moments before she walks down the aisle that she has to sign it or cancel the wedding, even that is not considered duress in a legal sense (although it is extremely tacky, and should probably make one consider why they are marrying this person in the first place). The terms of the contract are unenforceable: For example, if a wife agrees to take no alimony but then develops an illness and can no longer care for herself and the husband seeks divorce, she may still be able to get alimony. To schedule a confidential meeting with a respected Castle Rock Pre-Nup lawyer, Please contact us online or call our office in Ellmann & Ellmann at (303) 814- 2600.